Recognized as an Elite Personal Fitness Trainer by IDEA, the Health and Fitness Source and #1 personal fitness trainer by Sport & Health, Inc., Maurice can help you no matter what your age, condition, or fitness goals. He has worked with young people training for competitive sports, adults with fitness and weight loss goals, sedentary elderly people hoping to improve the quality of their lives, and everything in between. He also is certified as a Personal Fitness Trainer, Corrective Exercise Specialist, Performance Enhancement Specialist, Senior Fitness Specialist & Weight Loss Specialist by the National Academy of Sports Medicine (NASM) and as a Certified Strength and Conditioning Specialist by the National Strength and Conditioning Association (NSCA). 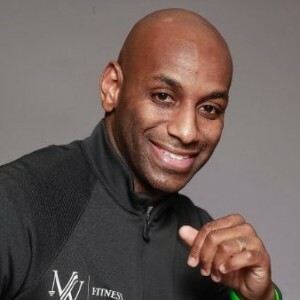 As a fitness educator with Move Well Fit Academy, Maurice teaches the Certified Personal Trainer course through NASM. Maurice exercises his clients through the concept of functional training – focusing on everyday body movements, not muscles, in a progressive fashion to allow for optimal improvements in everyday activities, such as walking and lifting, as well as helping contribute to weight loss, increased stamina and strength. Maurice has helped people match exercise to their specific health challenges, too, including diabetes, osteoporosis, multiple sclerosis, hypertension, coronary artery disease, lower back pain, pulmonary issues, and pregnancy. Even if you have only limited time to train, his 30 minute personal training sessions can make a difference. Maurice believes “Everyone has fitness is them, the challenge is bringing the fitness out.” His current workout includes resistance training and yoga. A former high school and collegiate athlete, Maurice grew up in South Carolina with roots that reach back to Brooklyn, NY. An avid sports fan, he still roots for Elon and his favorites, the Miami Hurricanes and the UNC Tarheels. A leader in his church, husband with a beautiful wife (just ask him) and father, Maurice brings the right values to his work and his clients – a shared commitment to good health and fitness, a honest determination, and an understanding of what it takes to meet difficult challenges.